* H.C.B-A1690 is a time saving tool for bushings, axles, bearings replacement. It makes bushings, axles, bearings replacement far faster than old-fashion way, and more importantly it saves labor. 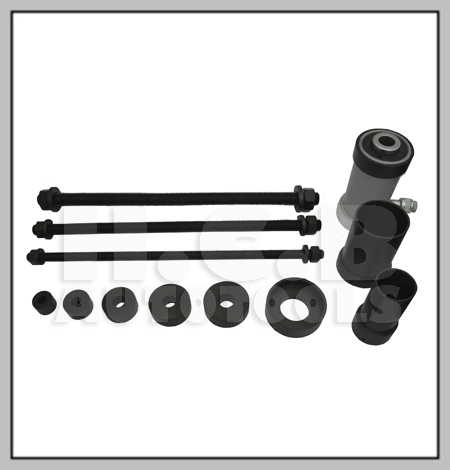 accessories contained within the kits the equipment can be easily used on any vehicle. H.C.B-A1690 is used for a wide variety of applications on truck and bus. It is suitable for brands like Scania, Volvo, MAN, Mercedes, Renault, Iveco and DAF.